1 edition of Revised English Bible found in the catalog. Add another edition? 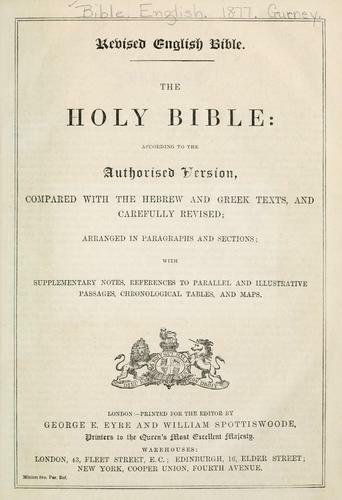 the Holy Bible, according to the Authorized version, compared with the Hebrew and Greek texts, carefully revised; arranged in paragraphs and sections, with supplementary notes, references to paralled and illustrative passages, chronological tables, and maps. 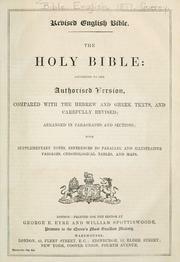 Published 1877 by Printed for the editor by G.E. Eyre and W. Spottiswoode in London .